Robert Hunter and Jeremy Jones were elected as Fellows of IIMA at its Annual General Meeting on October 12th 2017.  Fellowship of IIMA is an honorary membership, awarded to those whose careers have created significant value for the ore-based metallics industry. Robert Hunter was born in Mecklenburg County, North Carolina, where his ancestors settled in the mid-1700’s. They had the foresight to found the town of Charlotte. Robert graduated from the University of North Carolina with a B.S. in Physics. He found employment at Midrex as a Project Clerk in 1974. Since then he has held a wide range of positions, including Research Technician, Operations Analyst, and Licensing Administrator. At Midrex Robert has been in charge of Marketing and Applications of Iron Products and after more than 42 years with the company, he has officially retired but continues as a consultant. Jeremy Jones is a Partner of CIX LLC which provides training, advisement and leadership for steel industry professionals from the shop floor level, up to the boardroom. His previous roles include Senior Manager for Hatch Associates , various senior positions at Florida Steel, Nupro Corporation and Acutus Gladwin and technical authority for iron and steel at Bechtel Corporation, and Vice President at Worley Parsons and Steel, Tenova Core and Transfield Services. Jeremy graduated from Queen’s University, Kingston, Canada with a Master’s Degree in Chemical Engineering. He has published more than 100 technical papers and is the primary author for the EAF Steelmaking chapter in the Making, Shaping and Treating of Steel. In 2013, Jeremy was inducted as an AIST Distinguished Member and Fellow.